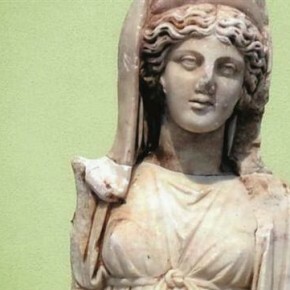 Hot this week: Well, was the Amphipolis tomb looted or not? We all likely know this already. The actual remains of saints and other holy figures are hot on the international market. Nearly 100 historic items from the Mohamed Ali dynasty were stopped on their way to the United States. A general-ish piece on looting and restitution with a Nigeria focus. Still doesn’t say, specifically, that these newly-discovered Maya sites are looted (but, trust me, they must be), but notes that the presence of archaeologists discourages looting. Another chapter in the ongoing saga of the pirate ship Whydah. Barry Clifford says to open the for-profit museum he would have had to put artefacts up as collateral. Although he privately owns these items, he says he feels that artefacts should not be sold and says putting them up risks that happening. Former client accuses Robert Fishko of the Forum Gallery, Manhatten, of selling him a fake Renoir and a fake Rodin. The Sault Ste. Marie Chippewa have asked the Kary Kay Museum in Radebuel to stop displaying 4 human scalps and to return the lot of 17 scalps for burial. However, under German Museums Association guidelines, Native American scalps are listed as “exceptions to human remains acquired in a context of injustice”. Al-Shaker is Iraqi with refugee status in the US who paints acclaimed images of Iraqi life. The Arizona State University Museum of Art estimates that the stolen works are worth about $50,000. Elazığ Provincial Gendarmerie Command has seized several artefacts from a jeep that belong to the Urartian and Roman periods. Four people were arrested. The 4th century Silivrikapı Crypt. This is the sort of neglect that leads to looting. Apparently the municipality put up doors to the crypt to stop ‘looters’, (I am guessing they mean trespassers although the site was looted in 1993), but doors were removed that day. The allegation is that there are specialized crime rings that focus on trafficking manuscripts out of Yemen. Going over quite a few scandals in Uzbek art theft, including all that craziness in Geneva recently. The article notes that the problem is bad enough that the government even says that there is a problem. Everyone is watching this dig! What will they find? The article is here because it indicates that there is some evidence that the tomb has already been looted, but says that the nature of that evidence hasn’t been released. But on the other hand, this. I’m told, though, that this type of tomb is usually breached from the back, not the entrance. The Parthenon Marbles. Enough said. Everyone here in Scotland was super sad about this theft. This chapel has an amazing story and the plaques, made by an Italian former POW who was housed on Orkney, are treasures. They have now narrowed the window of when the theft occurred and plaques to replace the ones taken, at the very least, will be sourced. Feel like taking a ‘souvenir’ from the Stair of the Turks in Realmonte? You are going to be fined €500. Previous reports stated that the Scythian gold that was on loan to the Allard Pierson Museum when things fell apart in Crimea would go to Crimea (so…Russia). Now it seems they are just sitting tight until some ‘qualified judge or arbitrator’, whoever that might be, or an agreement between Russia and Ukraine comes about. Allegations of large-scale looting of ancient tombs in North Korea made by a defector. The Defector says the items from the tombs are sold to the Chinese. This isn’t surprising, but who knows: clearly it is hard to independently confirm things like this. A rare glimpse into what might be going on in North Korea. Yes, calling this skull in a 1400-year-old tomb is jumping the gun a little. The part that is interesting is that although the tomb was located in the 1980s, looting at the site earlier this year forced archaeologists’ hand with regard to excavation. The thieves took advantage of a planned power cut to take the idol, crown, ornaments, and donation box from the Bhairavi Temple near Nuwakot Palace. The article notes that the temple is only 60m from the Nepal Army’s security station. Some people say it doesn’t even exist, but the story goes that this sacred bell was stolen by the Portuguese and it was so big that it caused their boat to sink in the river. There have been quite a few cases of mineral theft lately. I wonder if this sort of thing is people supplementing their own home collections. It seems that the buglers were robbing the museum safe and just kind of took the meteorite too. There we go. No suspects caught though. In here because the location of this discovery was kept secret because of looting fears. Note at the end they are excited that 3D imaging has been done…because the tracks very well could end up damaged.